Went out to the tomato plants the other day and the plants are booming. The tomatoes are clustered like grapes. 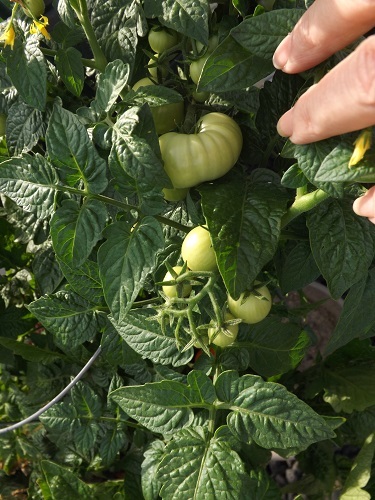 All of the tomato plants have between 16 and 24 tomatoes on them. Among the plants however I found something rather surprising. 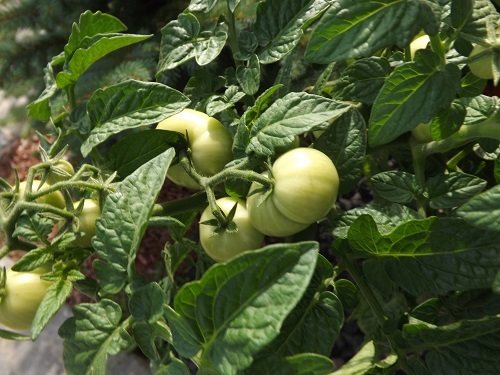 The cherry tomato plants had tomatoes that, although smaller, looked exactly like my Beef Steaks. 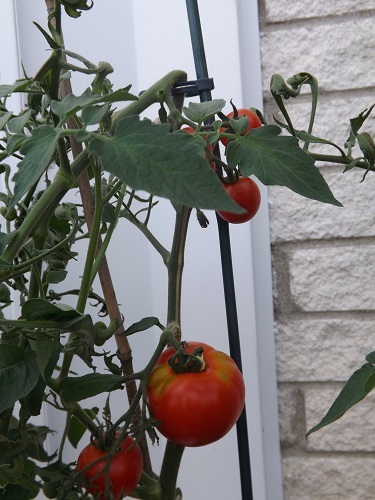 It’s at least triple the size of a cherry tomato and still growing. 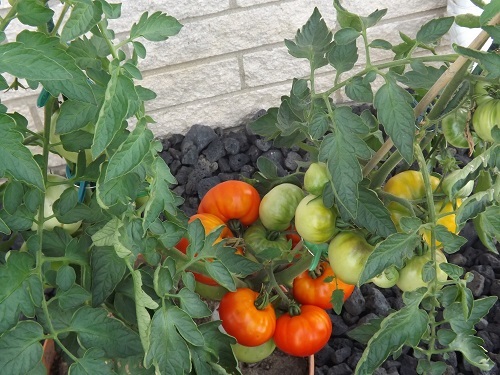 Then moving to my 4th of July tomatoes, which are supposed to be 3″ in diameter, there were teeny, tiny cherry tomatoes. This entire branch on the 4th of July Tomatoes has cherry tomatoes on it. See the 4th of July Tomato just below the cherry ones? 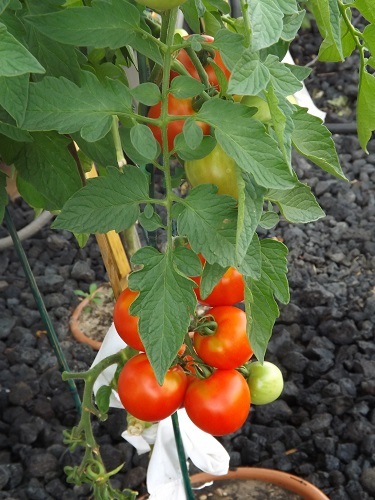 I knew that tomatoes could cross-pollinate, even though they are self-pollinating, but typically this does not reveal itself until the next generation plant. I guess I’m just lucky this way. It doesn’t bother me that these plants have cross-pollinated, but it will make it difficult to save seeds from any of my tomato plants. Still, isn’t this pretty neat? Nature forever surprises us, and for this I am — Simply Grateful. 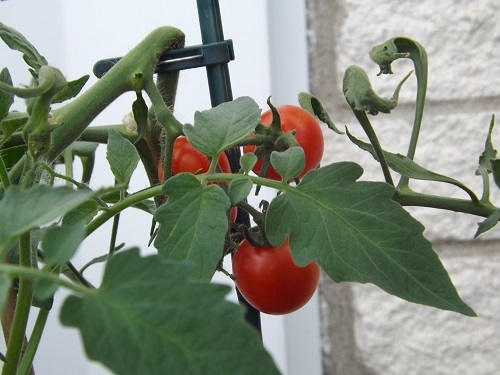 Categories: Tomatoes | Tags: Cross-Pollination, Gardening, Tomatoes | Permalink.